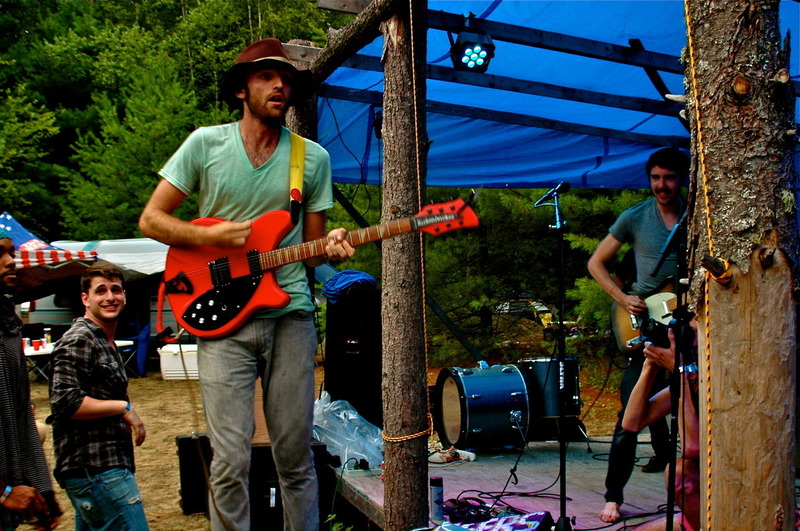 The fourth annual Caravan Music Festival will once again bring a boatload of Philadelphia bands to the woods of Maine of a three day concert of music, fun, lake swimming, exhaustion, and who knows whatall else. The massive lineup of the festival – which happens August 2nd, 3rd and 4th – includes a lot of returning favorites like Cheers Elephant, hosts / organizers Penrose, The Lawsuits, Juston Stens and the Get Real Gang and more. There are also some newer-ish names like Pine Barons, and perplexing others such as The Jawn and Vitamin Cheese. As a general rule I’m skeptical of the word “cheese” getting used in band names, but I’ll give these guys the benefit of the doubt. Lineup and details after the jump. Below, watch Cheers Elephant performing “Party On, Darwin” at Caravan 2011. MUSIC : three days of it. all day friday, all day saturday, and the strangest trip of a sunday you can imagine. some bands you know, some you may not, but it’s all guaranteed to be a good time full of dancing and singing. rock and roll, jazz fusion, hip hop, country, and social experimentation. FOOD : katie briggs domesticator of eclectik domestic heads up a culinary caravan for your stomachs AND your brains. brunch. dinner. treats. burning and searing food for the new world armies. CAMPING : it usually costs money to rent some camp ground, but you get it included here! the beautiful manser land is 16 acres on top of a gorgeous lake. relax on the dock, go swimming ( bathe with lake-safe shampoo! ), frolic in the trees, and help build a bonfire. the smaller fire will go all night, so bring s’mores. bring acoustic instruments. MOVIES : the caravan drive-in movie theater. bring a cute girl.